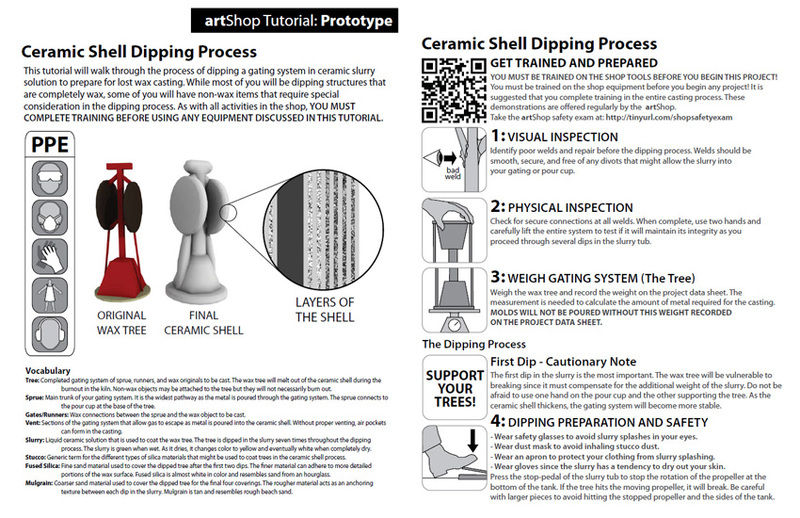 Job aid used to inform students of the most basic steps involved in the ceramic shell dipping process for lost-wax casting. 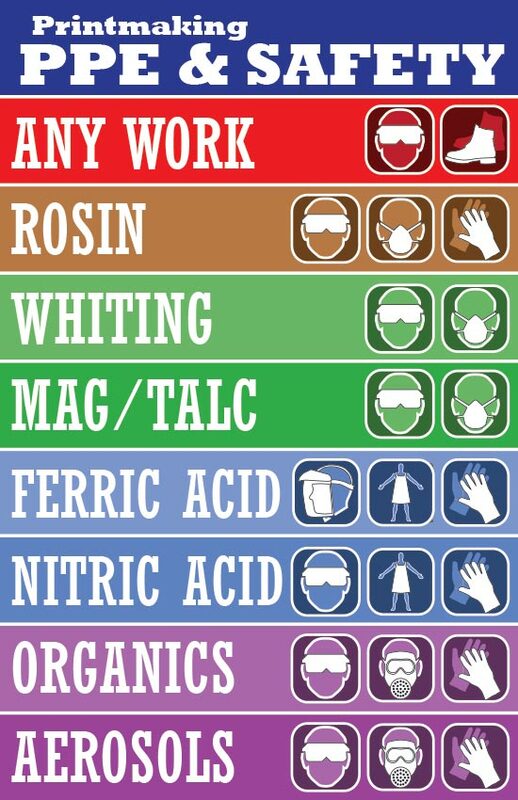 Job aid used as reference sheet explaining what the PPE icons represent. This accompanied a shop rules handout. 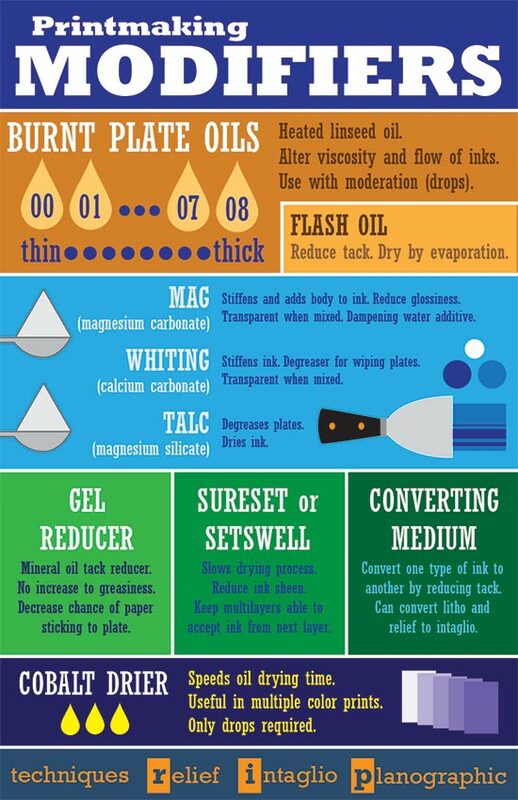 Job aid used to explain a variety of printmaking ink modifers. Job aid used to list the necessary personal protective equipment required in the print lab for specific processes. 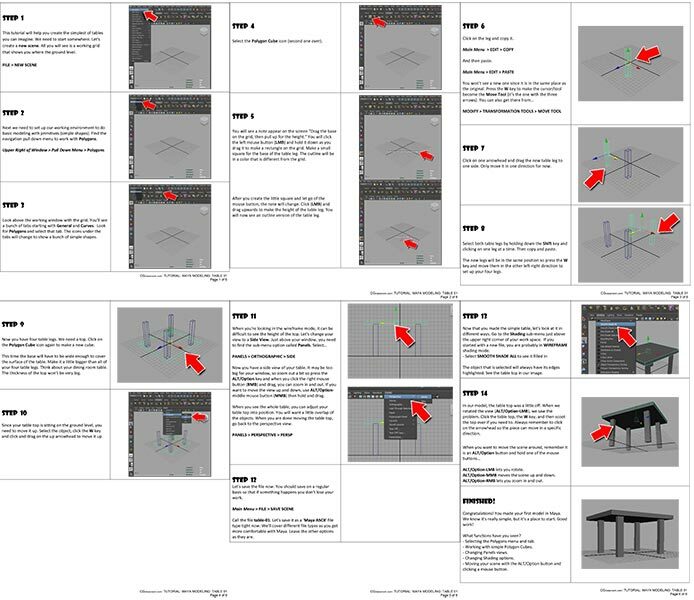 Tutorial used to introduce basic 3D modeling functions in Maya. Samples of job aids and tutorials developed for a variety of projects. Most of the recent examples focus on student assistance in the sculpture and print shops. 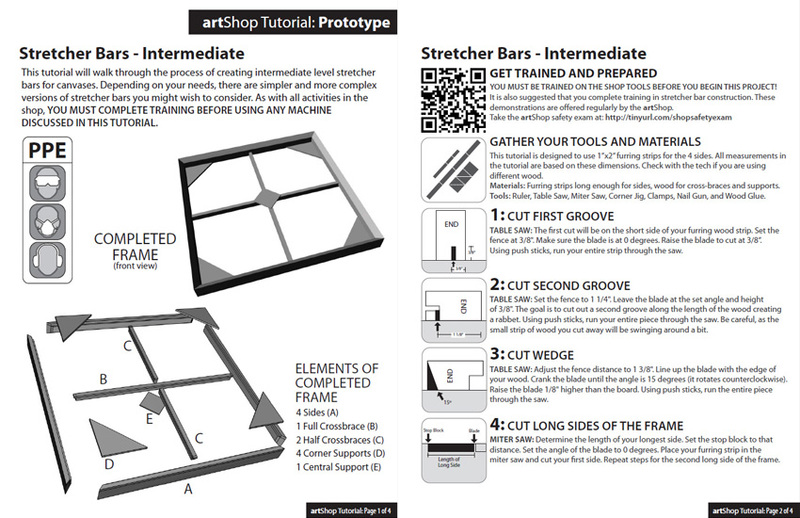 Earlier tutorials were developed for 3D modelling exercises for source projects. Software: Illustrator, Photoshop, Word, PowerPoint, InDesign.